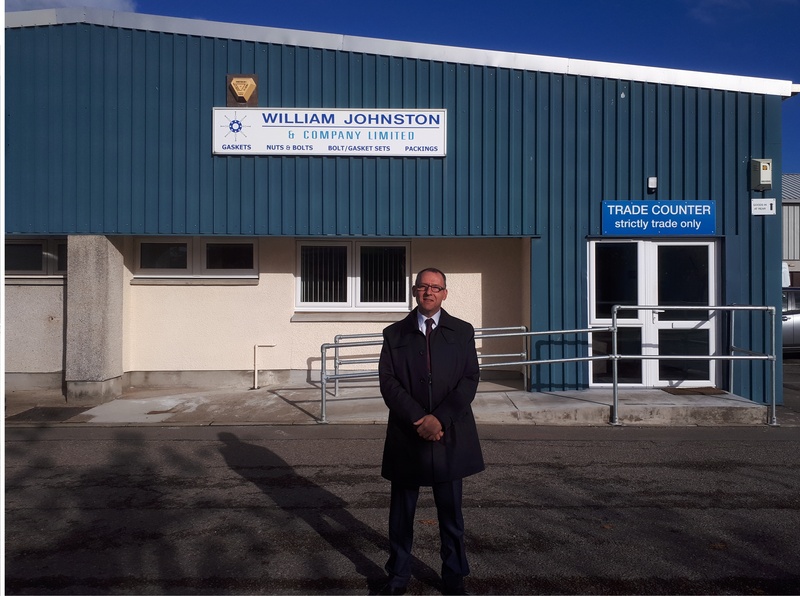 Having celebrated 50 years as a limited company in 2017, William Johnston & Company Limited has an established reputation as the leading gasket manufacturer supplying the water, waste water and gas utilities and the pipeline industry throughout the UK and abroad. Over 70% of the products we supply from our Glasgow factory headquarters are delivered out with Scotland as far afield as Hong Kong and the West Coast of the USA. In contrast, the company’s Inverness branch serves a much more local, but geographically large, market which stretches from north of the central belt of Scotland to the Highlands and Islands. The branch is the only gasket manufacturer outside the Oil & Gas centre of Aberdeen serving this area and its varied requirements. There are currently five people employed at the branch. The Inverness factory was opened in 1973 initially to support the construction of oil rigs in the Moray Firth and other inshore areas. The branch relocated to its present site in the Longman Industrial Estate in 1982 and has been extended and refurbished in the intervening years. Over these years Inverness and the Highlands have seen considerable growth across a variety of economic sectors. Following the decline in demand for UK constructed oil rigs from the 1990s, the focus of the branch has been on whisky distilling, engineering, automotive, paper, marine, infrastructure projects and construction. As well as manufacturing and supplying soft-cut and metallic gaskets and valve and pump packings, the branch has also built a reputation for stocking a range of standard and specialist fasteners, not only for supply along with gaskets for pipelines etc., but for many other applications. Customers include the largest companies operating across Scotland but also little family concerns in remote areas of the Highlands and Islands. Our rubber snowplough blades are a vital product for the whole region. These are supplied to the Highlands’ roads authority and contractors for keeping the main trunk roads and smaller roads, vital for access to outlying communities, free from snow in the harsh winters which characterise the area. The branch is led by Billy Hardie who became a director of William Johnston & Company Limited on 1 November 2018. Billy joined the company in Glasgow in 1981 under the government sponsored Youth Opportunities Programme. He learned the skills of hand cutting, machine operation, tool maintenance etc. and then in 1985 he moved to the Inverness branch to provide temporary cover and, 33 years later, he is still there! Promoted to assistant branch manager in the mid-nineties, he took on the manager’s role in 2012. 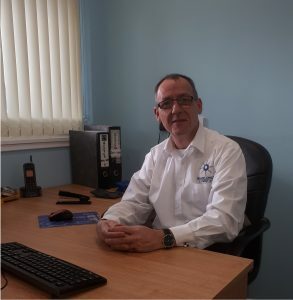 “As a director of William Johnston & Company Limited my personal goal is to maintain and enhance the presence of the company in the Highland business community and inspire the same customer and employee loyalty instilled in me by managers and directors past and present.